One of the Tuscan Renaissance masterpieces in the Cini collection, Pontormo’s Portrait of Two Friends, is currently on show in the exhibitionPontormo and Rosso Fiorentino. Diverging Paths of Mannerism (Palazzo Strozzi, Florence 8 March –20 July 2014). This loan is part of a significant collaboration between the Giorgio Cini Foundation, the Galleria degli Uffizi and the Fondazione Palazzo Strozzi, involving exchange loans of art works in the respective institutions. From 20 July until 2 November 2014, however, Venetian residents and visitors will be able to admire Pontormo’s Portrait of Two Friends, which will be back in its usual setting in the Palazzo Cini Gallery at San Vio. 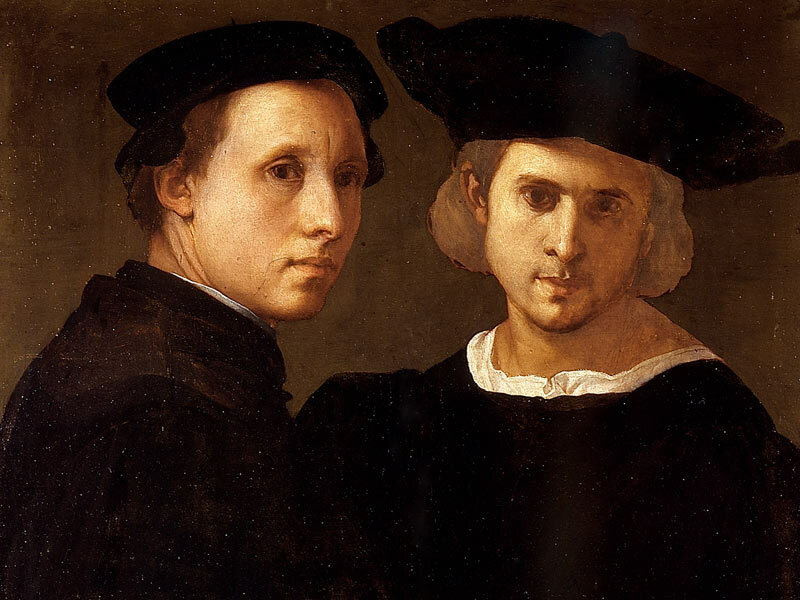 Picture: Pontormo, Portrait of Two Friends.